Here at The Stewardess Bible, we love offering genuine reviews of the superyacht amenities that we receive. 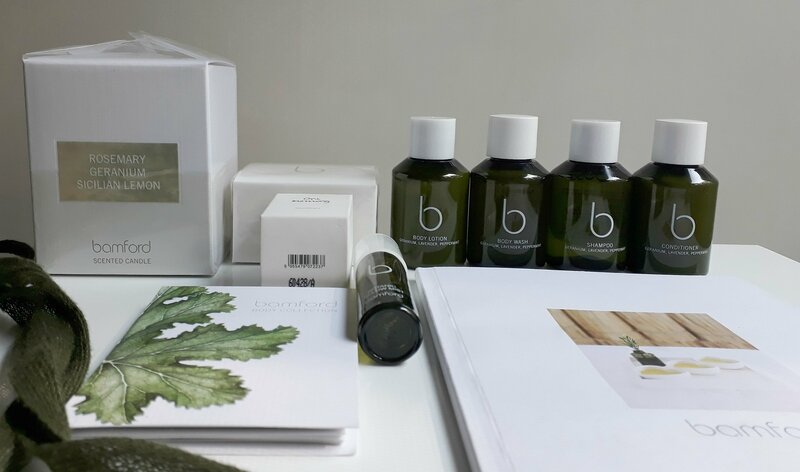 It’s been a long time since I wrote a product review, but last month the good people at MH Boutique sent me these glorious Bamford products to review. I would also like to state that I was not paid for this review, and all opinions of the products which I reviewed are solely mine. I was sent a broad range of the Geranium collection to review, and I was not disappointed. Herbaceous heart notes of Egyptian Geranium and twin lavenders, with spicy vanilla hints of Tonka, lifted by peppermint and blue gum eucalyptus. Uplifts mood and promotes inner harmony. These products have been made with naturally sourced and certified organic ingredients that nourish and re-energise body and soul. The range is also certified by the soil association which means that the ingredients are organic and are free from parabens artificial colourings, mineral oils and synthetic fragrances. This is great news for me as I fall into the 35-45-year-old age group. My skin is super sensitive, dry and damage from years spent on yachts and in the sun. I always struggle to find products which will do what they say, and quite often I find myself with a red, painful rash after using products which claim to be safe for sensitive skin. I was a little apprehensive about trying new products for this reason, however, with the Bamford body range I was happily surprised. 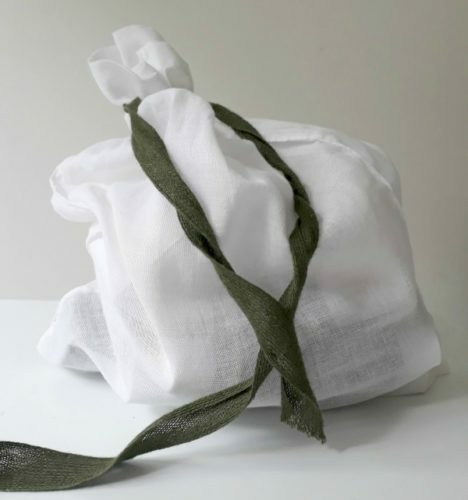 I received the Bamford hotel amenities in a white muslin bag. The products themselves will sit handsomely in Superyacht cabin. The products are available in 50ml and 100ml sizes. The soaps were mild and the body lotion was moisture-rich, without feeling greasy. The Botanic pillow mist and the body splash have the most inviting fragrances, without being overbearing and the heart shaped soap and the rosemary candle are simply divine. For more information on the Bamford hotel amenities, please contact MH Boutique. If I tried to find any negative elements to these products, then I would have to say the fragrance. At first, I thought the aroma, was a little overbearing when I open the box, as I was hit with a gush of delicious geranium smells, which could possibly be too much in a guests cabin. That said, the fragrances are organic, they don’t smell artificial and it does uplift you… so, In my opinion, it’s not such a big deal. The Soil Association, its standards and activities, and the practice of organic farmers are all based on a set of internationally recognised principles. These principles are the roots from which organic agriculture grows and develops. They express the contribution that organic agriculture can make to the world, and a vision to improve all agriculture in a global context. Agriculture is one of humankind’s most basic activities because all people need to nourish themselves daily. History, culture and community values are embedded in agriculture. Bamford is a way of life. We create beautiful clothing and body & Skincare products that are natural and artisan made.